There are so many new technologies, and modern improvements in smart TVs regarding video processing, picture performance, and much more, so we have come to see loads of changes, from 3D pictures and side angle viewing to greater color pallets. All of these amazing technologies and improvements are in this impressive 3D Smart LED TV from Sony. This ultra-thin 75-incher is so much more than just a TV; it is a home entertainment system. The improvements of the Sony XBR75X910C over previous models are obvious. Sony isn’t just focusing on producing TVs that look amazing with 4K UHD content, but their upconversion technology also creates a 4K-like picture with usual everyday resolution signals. This is a really great strategy, and this manufacturer is able to show off superior processing. This TV has it all regarding the picture features, X1 Processor, Extended Dynamic Range, Triluminous Display technology for wider color gamut, and X-Reality Pro upscaling algorithm. All these features are combined for a fantastic picture. Is It Worth the Purchase? There are so many key areas this TV is excellent in. 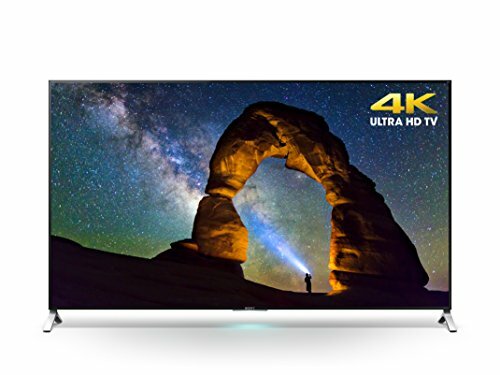 Its 4K resolution which is a proud Sony trademark, is fantastic, just like the amazing size as well as great mesh of the TV with any sort of household design. It is also extremely important to mention its ability of incorporating any smart extraneous machine with seamless transition in its resolution. This kind of high-end, feature-rich TV is surely not cheap, but if you are looking for a Smart TV which offers top-of-the-line features, then you will probably be willing to spend around $5000 for this perfect TV. The Sony XBR75X910C is more than able to meet all of your standards. Sony has embraced Google’s Android TV and is now offering a really responsive and quick voice search function which is perfect for searching Google’s games and apps or YouTube. You can install the One-Flick remote on any compatible smartphone, and use this amazing function by simply speaking into this remote. You can take this search function even further by just saying a subject such as “today’s weather”, or a genre like “romance”, and watch since the Android TV will do all the work for you, discovering the appropriate content. Not just that, the Google Cast is built-in so you have the immediate ability of streaming videos and images direct from your Android or iOS device, whether that be a mobile or laptop, in order to display on the incredible large, quality screen. The Sony’s wide gamut color technology produces truly realistic and true-to-life color and it requires less calibration effort in order to get a proper picture solution. The Triluminous display and the X-tended Dynamic Range contrast improvement technology work well together for providing amazing light flow through colors as well as for improving areas of the on-screen picture that are lit by lighting or windows. All this adds up to a better 3D picture quality even with High Definition signals. The outer panel on the Sony XBR75X910C is what we want, but also what adds so much to the TV’s cost. It creates the richness, depth, vibrant colors and contrast which make this TV so incredible and desirable. The Sony XBR75X910C takes TV to a new level regarding the home entertainment front as it enables its users to stream PS3 games right to your television with PlayStation Now. There is no need for console since by simply connecting a DUALSHOCK 4 controller to your TV, you’ll be able to play the game that is streamed right to the TV, just like when you stream a movie or a TV show. We mustn’t forget to mention that you are still able to stream movies and TV shows through streaming services like Amazon Instant and Netflix. This means that the standard Smart TV function isn’t compromised in any way, just heightened to the next level.